For a security program to be successful, leaders must align operational excellence with security priorities and business goals. 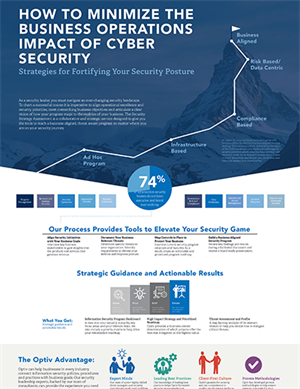 With Optiv’s security strategy assessment, your organization receives collaborative support and an effective plan to fortify your security posture. From program management and security operations to data protection and incident response, Optiv can help elevate your security game and align with business goals.